Xhosa is one of the 11 official languages in South Africa, and after Zulu it is the second most common home language with about 8 million speakers. It is closely related to Zulu and the two languages are mutually intelligible. Xhosa it is noted for its clicks, of which there are 15: 5 each of dental clicks, lateral clicks and alveolar clicks. 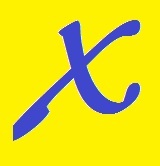 It is written using the Latin alphabet, with c x and q representing the clicks. It also has tones like Chinese, although it is not related to Chinese. To hear the clicks, have a look at this video of Miriam Makeba singing the Click Song.